1.Cheryl Strayed from Wild | I had a love-hate relationship with Cheryl. Two-thirds of the time I wanted to shake her for being so ridiculously unprepared and irresponsible, the other third I wanted to applaud her for venturing off on her own. 2. 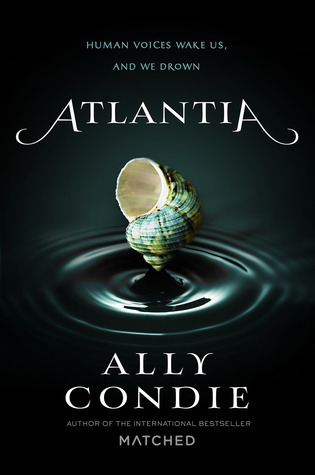 Rio from Atlantia | I like strong female leads and this girl was not it. 3. Lily from the Princess Diaries | I know, I know. You’re supposed to like the best friend. But Lily Moscovitz is the worst (in fact, I often felt the same way about Princess Mia). 4. Raffe from Penryn & The End of Days | I could not get on the Raffe train. Most of the time I thought that he was a conceited douchebag. I guess that’s what happens when your an archangel. 5. Bryn from the Kanin Chronicles | Bryn was stubborn and had severe tunnel-vision (I am Bryn Aven and you killed my father…prepare to die). 6. Melody Jackson from Melody Jackson and the House on Lafayette Street │It didn’t help that she was a child (literally) but she was SO annoying on top of it. Note to self: don’t read books that have narrators younger than 16-17. 7. Bella Swan from the Twilight series, but more specifically, New Moon │ UGH. This was the darkest of the books and the one where she just couldn’t function without her dear, sweet Edward. Barf. I have never in my entire life felt like I couldn’t function without a dude (and I’m married… ) so this was torture for me. I spent the entire series wanting to smack her in the face, but more so in this one than the others. 8. Maggie from The Vanishing Season │ The book was okay, but I didn’t connect with Maggie really at all, so it made the story even worse for me. 9. 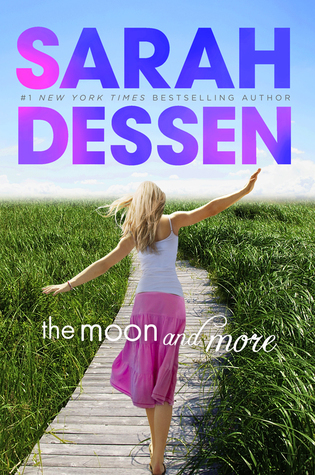 Emaline from The Moon and More │ I am a huge Sarah Dessen fan so it makes me really, really sad when I don’t click with one of her narrators/books. This one is definitely my least favorite of everything she’s written & honestly? I don’t even remember reading it, obviously there wasn’t a connection. 10. Kate from Lost Lake │ I liked this book a lot, and while I could feel for Kate and everything she was going through, I just didn’t connect with her like I have with some other Sarah Addison Allen’s other characters.